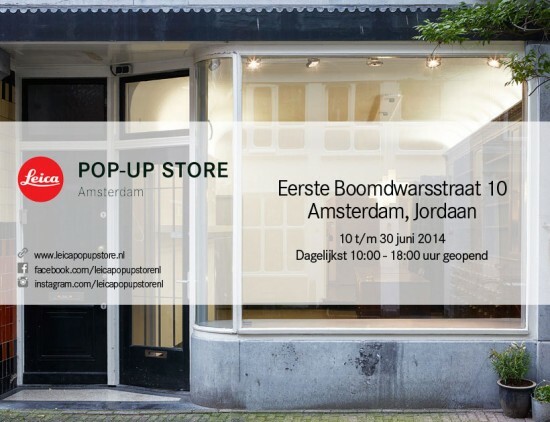 The first Leica POP UP STORE is coming soon in the Netherlands. The exact location is Eerste Boomdwarsstraat 10 in Amsterdam (Jordaan). The location will be open 7 days a week (10:00-18:00) from June 10 till June 30th. For more information visit the Dutch and English website: www.leicapopupstore.nl or www.facebook.com/leicapopupstorenl.